CaseStack's dedicated team ensures that your shipments receive the care they deserve and that your freight arrives at its destination safe and on time. 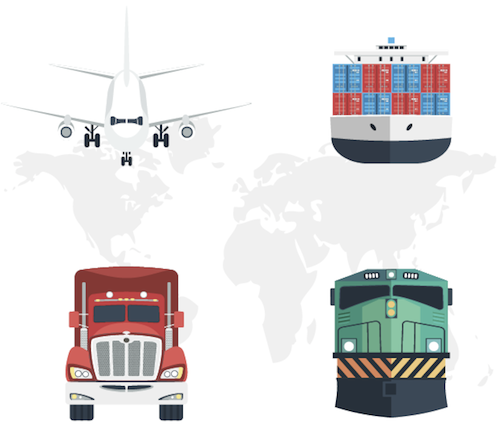 We offer the most competitive industry rates, an array of worldwide transportation management services and strategic relationships with hundreds of trusted carriers. Working with CaseStack Transportation Services, you not only have the advantage of our tremendous transportation buying power, but also our time-tested technology and dedicated customer service team. Our performance and reliability standards consistently exceed our customers' expectations. Truckload and LTL - We place nearly one million shipments per year with quality carriers experienced in handling full and partial loads. Available equipment options include dry vans, refrigerated trucks and flatbeds. Expedited and Hotshots - Time-sensitive shipments can be scheduled for same-day pickup if necessary, with 24-hour tracking. Options include cargo vans, straight trucks, and tractor-trailers. Consumer & Retail: Freight movements between manufacturers, warehouses, distributors and retailers. Temperature sensitive: Climate control of medical, pharmaceutical and other sensitive freight. Highly regulated: Rigorous oversight of regulated loads with fully compliant documentation. High value: End-to-end visibility, with capabilities for special handling.